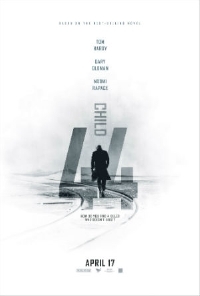 We haven't talked much about the upcoming thriller Child 44 but the concept for this project is just too good to pass up. Based on Tom Rob Smith's first novel in a trilogy, the story unfolds as a disgraced military police officer (Tom Hardy looking ragged and sporting a wicked Russian accent) investigates a number of child murders by a suspected serial killer. The big twist here is that the investigation takes place in the Soviet Union during Stalin's leadership. The concept may well be familiar but the setting and period certainly add some unexpected intrigue to the story, not to mention a political element that usually doesn't play a part in your standard serial killer hunt movie. And then there's this cast. Aside from Hardy, the movie also stars Noomi Rapace, Gary Oldman, RoboCop Joel Kinnaman, Charles Dance, Jason Clarke, Vincent Cassel and Paddy Considine. That is one hell of a cast. Not sure this is going to be the high brow sort of thriller the studio expected but the trailers, yes, there are two of them, suggest a solid bit of entertainment. Hopefully it's not bogged down by a weak script. Child 44 opens April 17. Either do this movie in Russian, or knock off the Russian accents. You want me to suspend my disbelief? Then don't expect me to sit through an entire movie trying to figure out why Russians are speaking English that I can barely understand instead of Russian that I can't possibly understand, but has English subtitles I can at least read. "Russia: Child 44 film release blocked over 'distortions'"